Sign up for coupons and savings! Top Cat Car Wash … automatic and self-serve car wash open 24 hours a day! Welcome to Top Cat Car Wash. We’re a family-owned automatic and self service car wash conveniently located on Route 16 in Ossipee NH, just 1 mile south of the intersection of the Route 28 and 16 and Hannaford’s supermarket. Experience a thoroughly clean car wash in less than 5 minutes, with a piece of mind Scratch-free Guarantee! SAVE 20% with Top Cat Car Wash’s Prepaid Car Wash Cards RECEIVE 20% more washes for FREE when you buy Top Cat Car Wash’s prepaid car wash cards. Makes a Great Gift or Buy One Now! 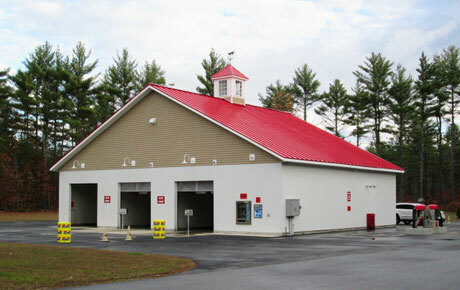 Top Cat Car Wash in Ossipee, NH provides self service and automatic car washes. Drive in dirty – pull forward clean! © 2019 Top Cat Car Wash, 760 New Hampshire 16 Ossipee, NH 03864 | All rights reserved.